Margo Bailey never expected to live long enough to see her thirtieth birthday. A heart defect that she’s had since birth has taught her to live cautiously and expect the worst. On the other hand, Lilith Hazelwood, the most powerful witch in town, expected to live a freakishly long life. But she is killed under sinister circumstances, and her precious and powerful organs are bestowed to several clueless beneficiaries, like the faint-hearted Margo Bailey. Lilith’s spirit lingers on, filled with anger, seeking vengeance. Margo’s new lease on life does not come without complications – a local murder investigation, an old friend in need, an intriguing and persistent young cop, and some unsettling new powers. What will unfold when a timid young woman inherits the heart of a powerful witch? This book is an example of the cover being significantly better than the book itself. I love mysteries and read a lot of them. This book reads more like a Buzzfeed article about the time a woman ended up with a witch’s heart as opposed to an actual book about the event. The writing is clipped and quick without much depth or substance. The style is also inconsistent, with the way Lillith interacting with the world changing over time. As though the way the author was doing it originally got too cumbersome so she simplified without going back and changing what she had already written. This series had a lot of potential, but the writing wasn’t strong enough to make me pick up the next book. 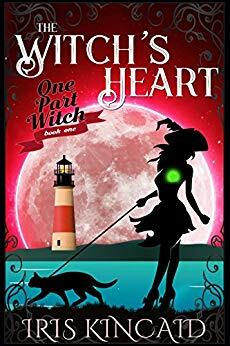 Have you read The Witch’s Heart? What did you think? Let me know in the comments.